The electronic pressure switch EDS 710 serves for use in large volume production machines. 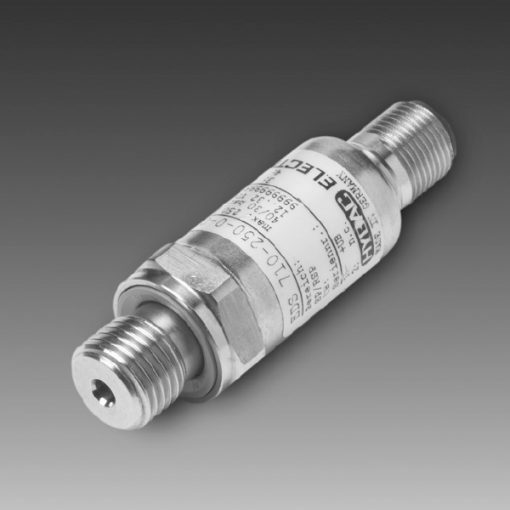 The highly compact unit has a very robust pressure sensor with thin-film strain gauge on a stainless steel membrane. What’s more, the EDS 710 is available with 1 transistor switching output (PNP) with either N/C or N/O function. In addition, switching and switch-back points of the EDS 710 are factory-set according to customer specification (not field-adjustable). Furthermore, various pressure ranges between 0 .. 16 bar and 0 .. 600 bar are available.